Getting your exam results can be quite a stressful time. Stress is a natural thing, but worrying about it will not help and is not good for you.Here are some tips to help you reduce any stress you are feeling. Exercise is a great way to relieve tension as it releases endorphins, which are 'feel-good' neurotransmitters found in the . Try exercising a couple of times a week to help you unwind. At the end of a hard day it is more tempting to collapse in front of the TV with a tub of ice-cream, but if you incorporate some gentle exercise into your week you will really notice the difference to your stress levels! Team sport is a fun way to exercise, provided that there is not a high level of competition, pressure to perform or fear of failure. Cut down on caffeine. Caffeine is a stimulating substance which has a number of physiological effects on the body, including a slight increase in blood pressure and pulse. It has been proven to worsen symptoms of panic and anxiety, and it can interfere with sleep which in turn will make you more irritable and . No caffeine after 4 or 5pm is a good rule to follow. Remember that chocolate also contains a small amount of caffeine. Get enough sleep. This is often easier said than done. Lack of sleep can lead to a ' vicious cycle' of daytime behaviours which make the situation worse; if you are tired you may try to your lack of energy and concentration by excessive caffeine intake, you may be too tired to exercise and you might nap during the day which will reduce your ability to sleep at night. Laugh! Experts claim that laughing relaxes tense muscles, speeds oxygen into your system, lowers blood pressure and triggers the release of endorphins. If you have a good sense of humour you are more likely to keep things in perspective which will stop you feeling overwhelmed. When you're feeling stressed, try watching a film or sharing a joke with friends. Try rehearsing situations which make you particularly anxious (such as a speech or class presentation). If you are revising for exams, take short breaks to do something relaxing such as listening to music or phoning a friend. Don't make important decisions during particularly stressful times as you may not be thinking very clearly. If you are feeling overwhelmed, talk to someone you trust such as a parent or teacher. Sharing your problems can often make them seem less huge. Your revision and your exam period is stressful time for most students! 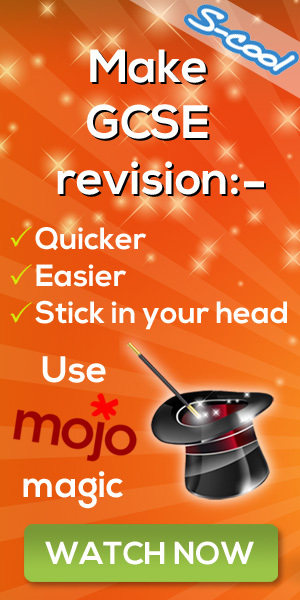 This App contains practical and powerful stress-busting strategies to keep you calm and composed so that you deliver your best work in the exam.